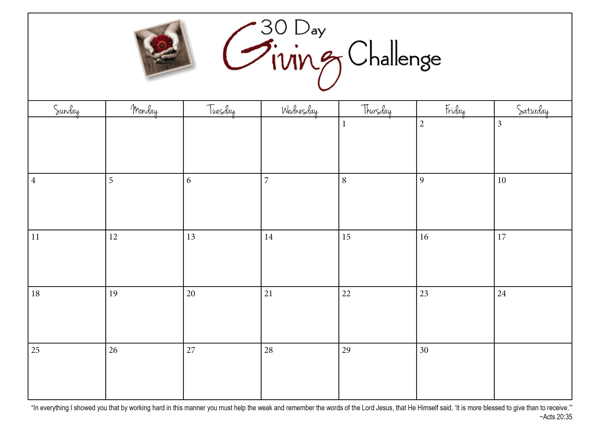 Enter your ideas for giving each day, or use the calendar to track your progress. You can print the calendar and fill it in, or you can type your ideas in the boxes before you print. Click here to download your calendar.